Saturday 7 March saw the Rotary Club of Somer Valley celebrating its twentieth anniversary at the Centurion Hotel. The Club received its Rotary International Charter on 6 March 1995 and eleven of the Founder members were present during the evening, eight of whom are still members. The club was pleased to welcome a goodly number of guests, including twelve former members, as well as Assistant Governor Peter Wragg, who gave the Toast on behalf of the guests. 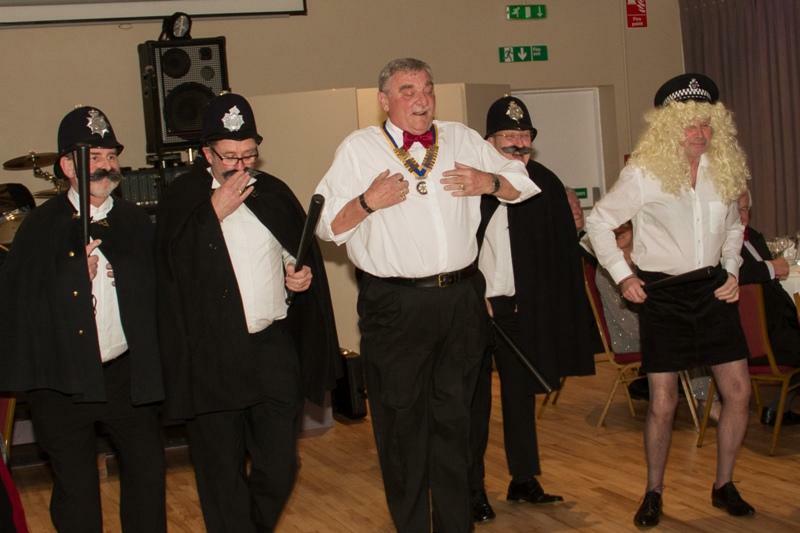 Several members could not resist the opportunity to send up Club President Steve Scott, a retired Police Sergeant, by drawing him into a hilarious version of The Laughing Policeman. Following an excellent dinner, dancing was to a local band, 3 Blind Mice.